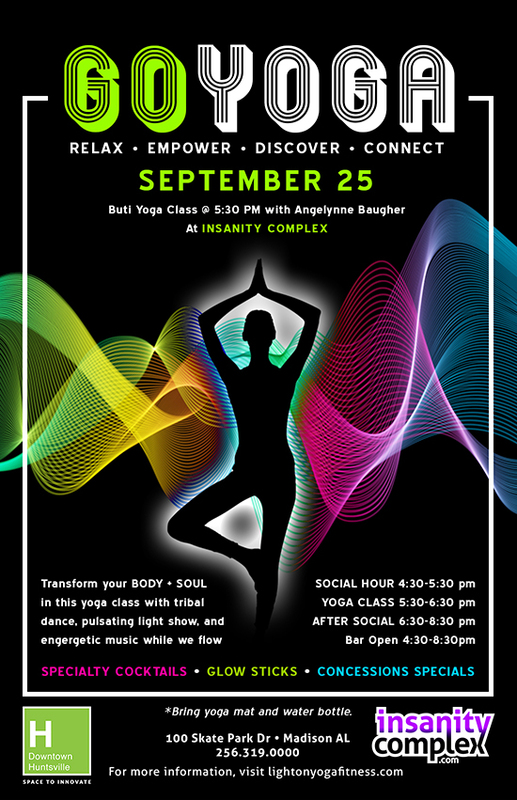 Insanity Complex is honored to be one of the many amazing locations of Huntsville’s GoYoga week! Buti Yoga workouts transform your BODY + SOUL with cardio-intensive bursts of tribal dance, primal movement + conditioning woven into a dynamic yoga practice. Get to know your fellow yoga fanatics during our social hour! Stay for the social time after class and grab a specialty drink because our BAR WILL BE OPEN! !